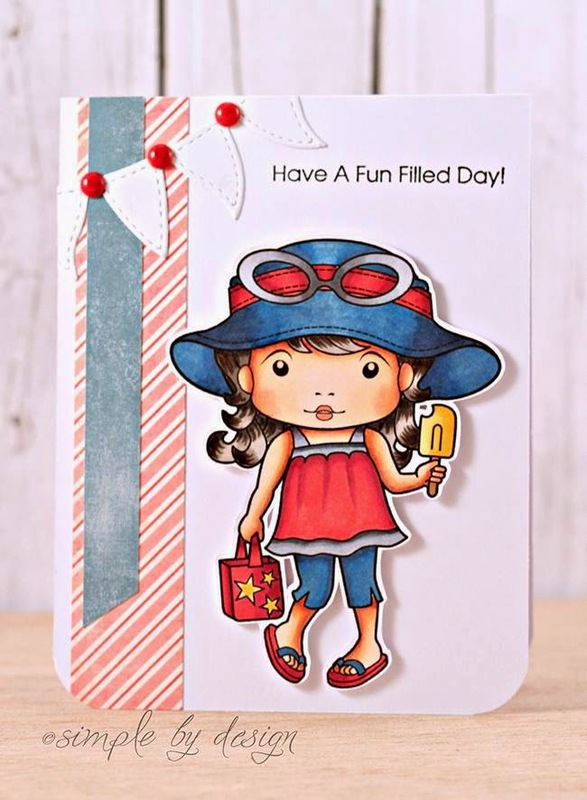 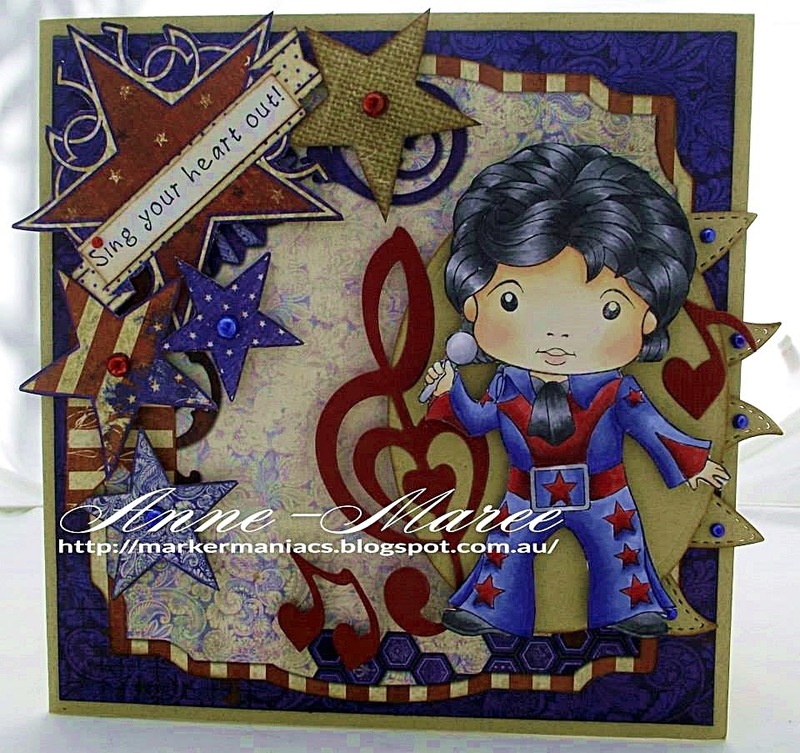 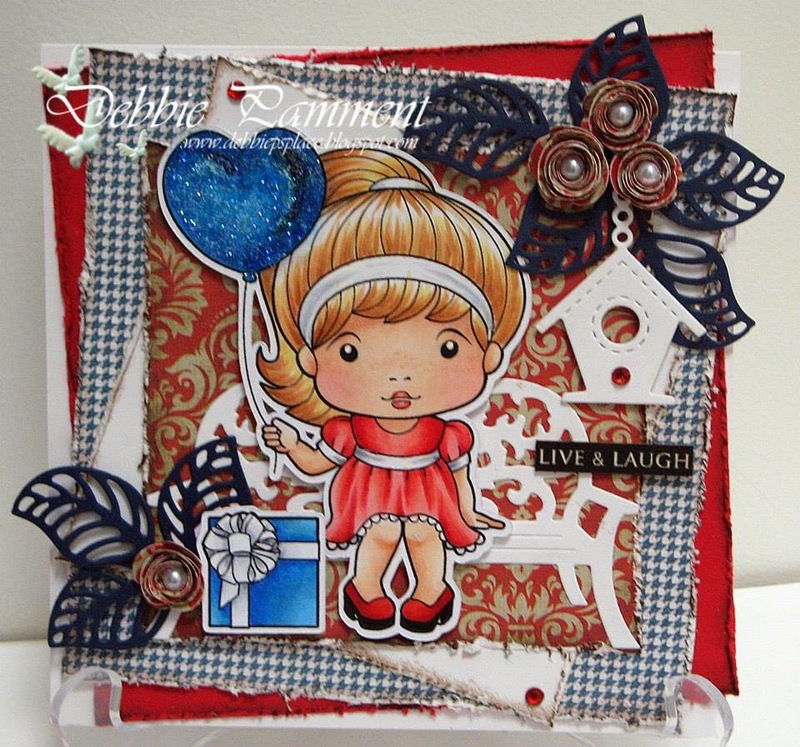 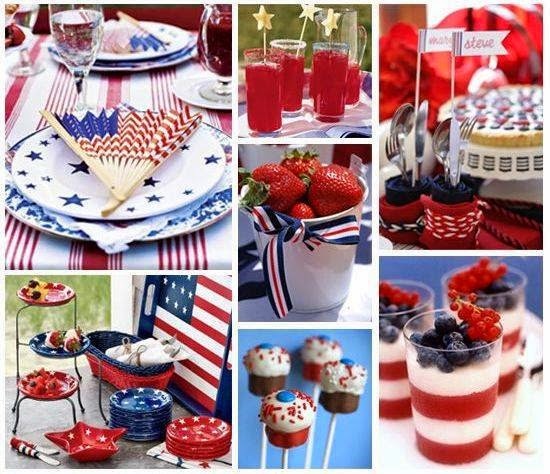 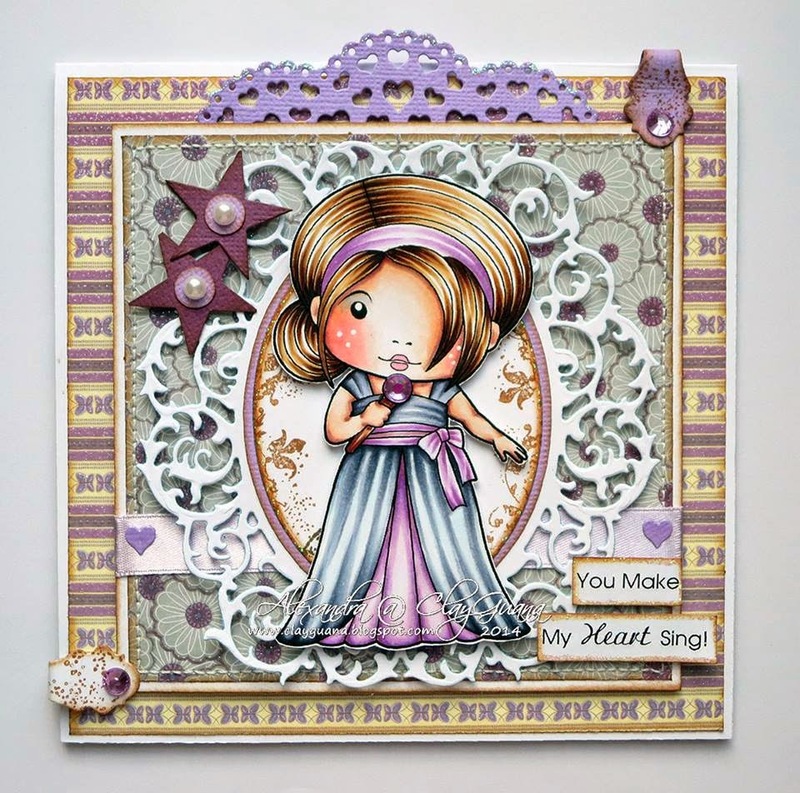 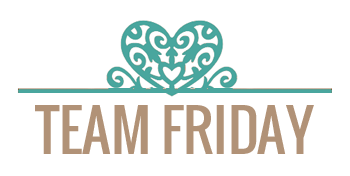 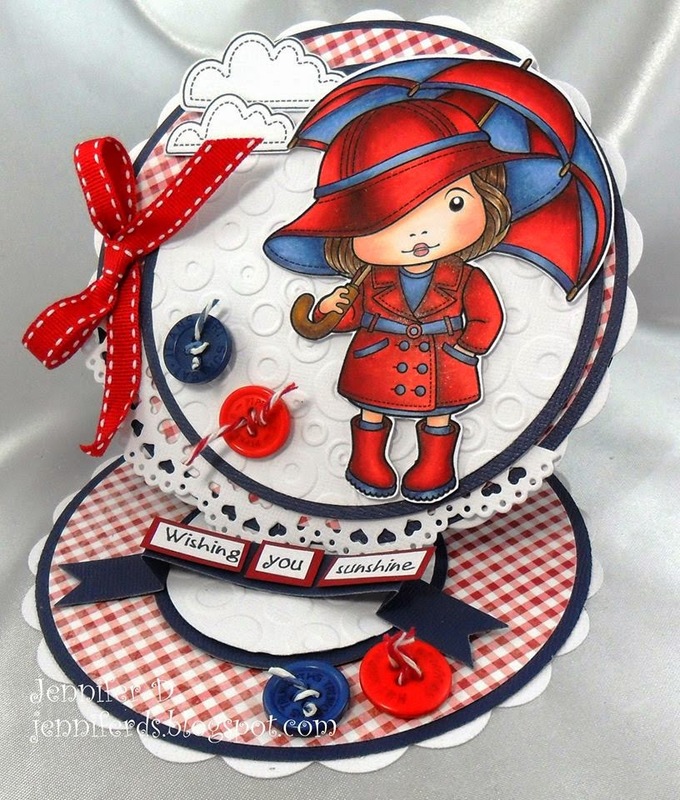 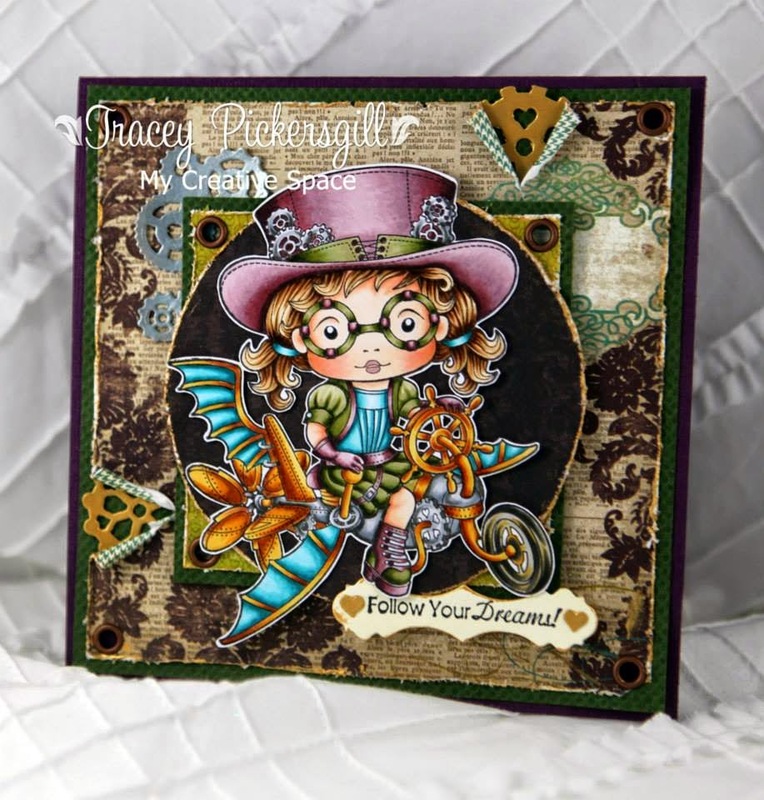 We have some absolutely beautiful cards to inspire you all!!! 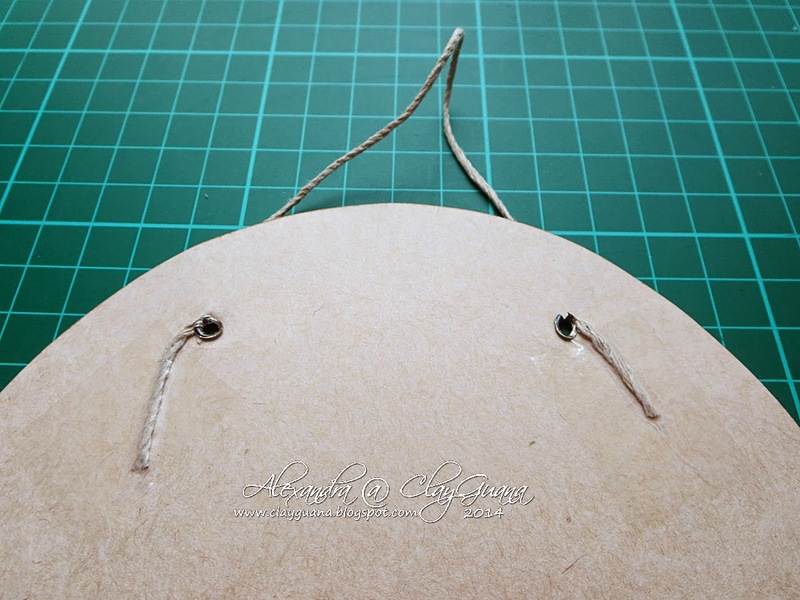 Dress: BV20, BV23, BV25, BV29, V06, V04, V01, V000. 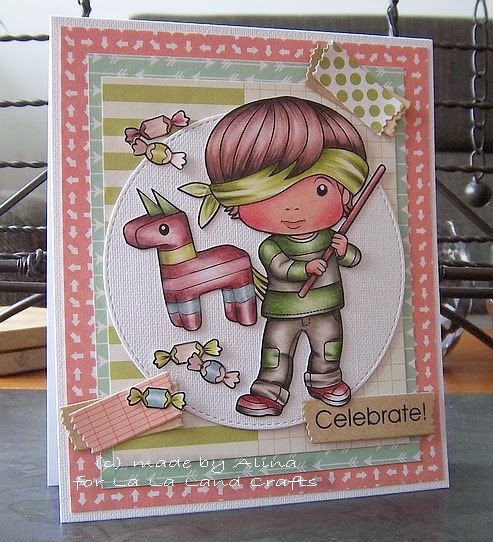 Piñata and sweets: Prisma Premier PC 1031, PC 1005, PC 1021, PC 927, PC 935. 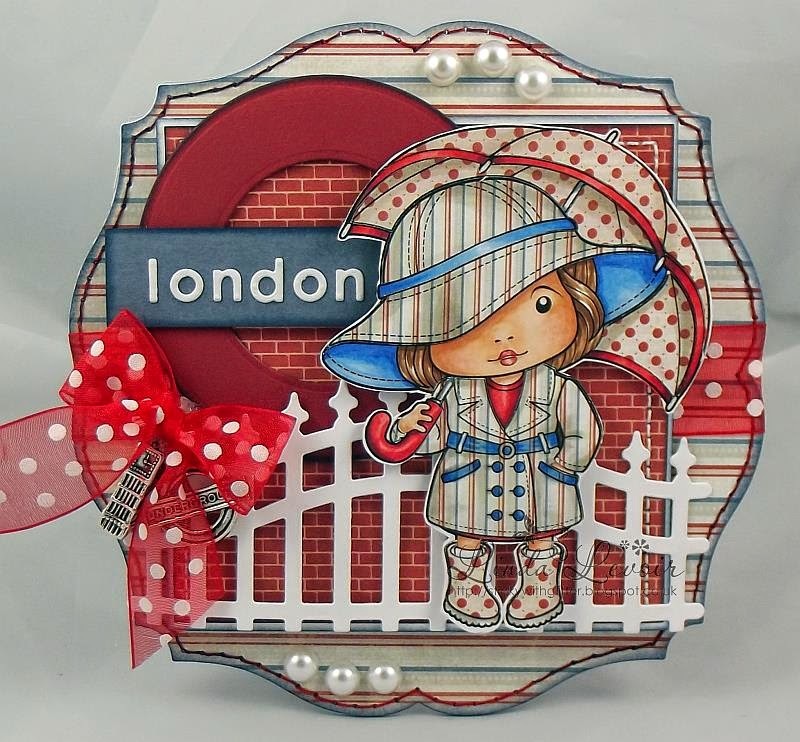 It's Alexandra here today with our usual Tutorial Thursday section. 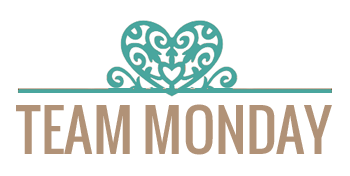 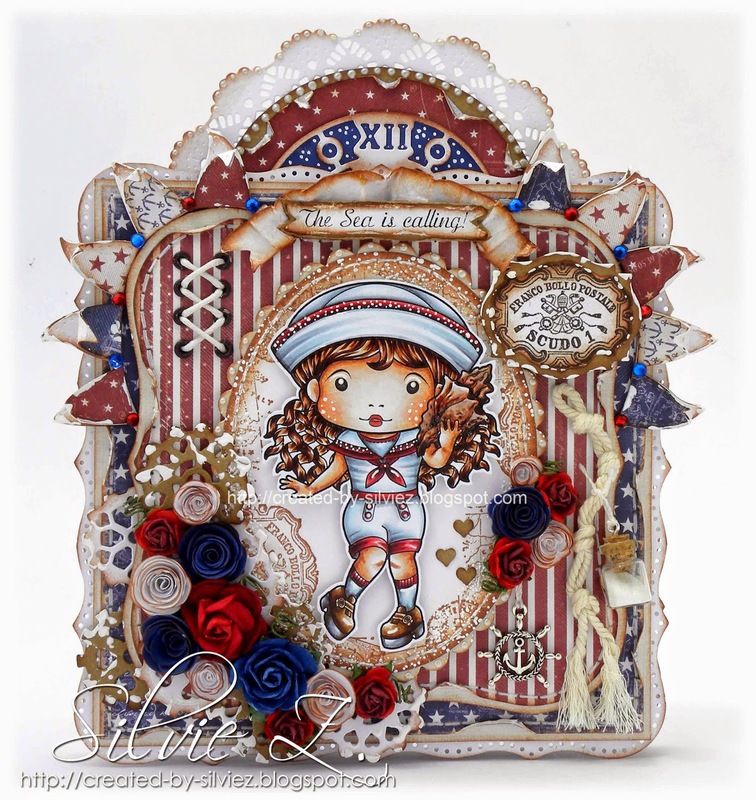 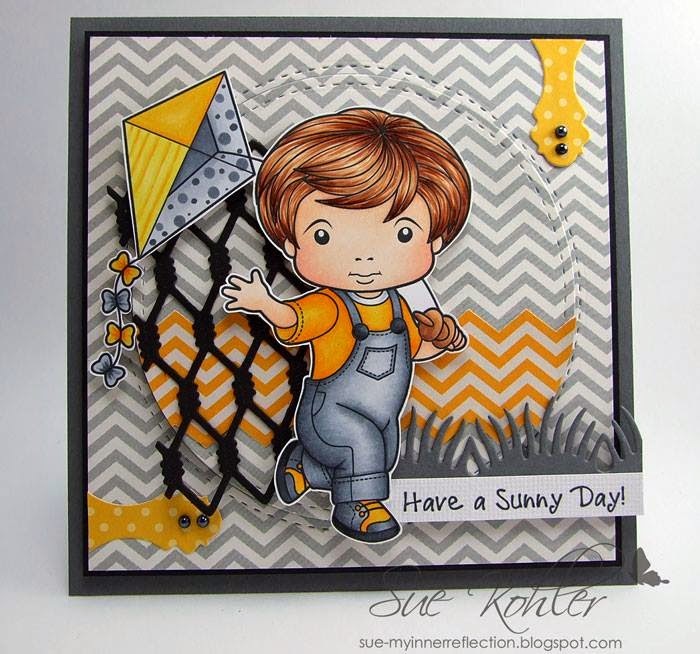 I want to show you how to create a shadow box wall hanging as well as embellish it with versatile die-cuts from La-La Land Crafts. 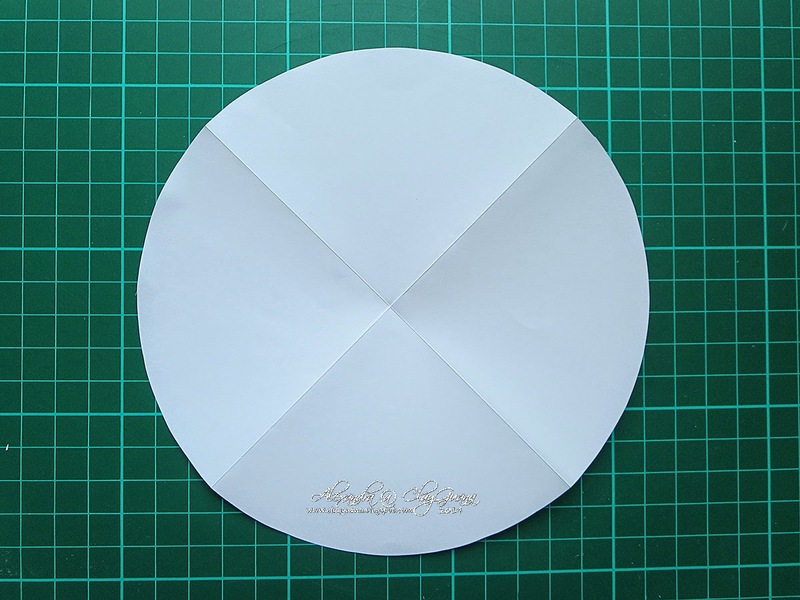 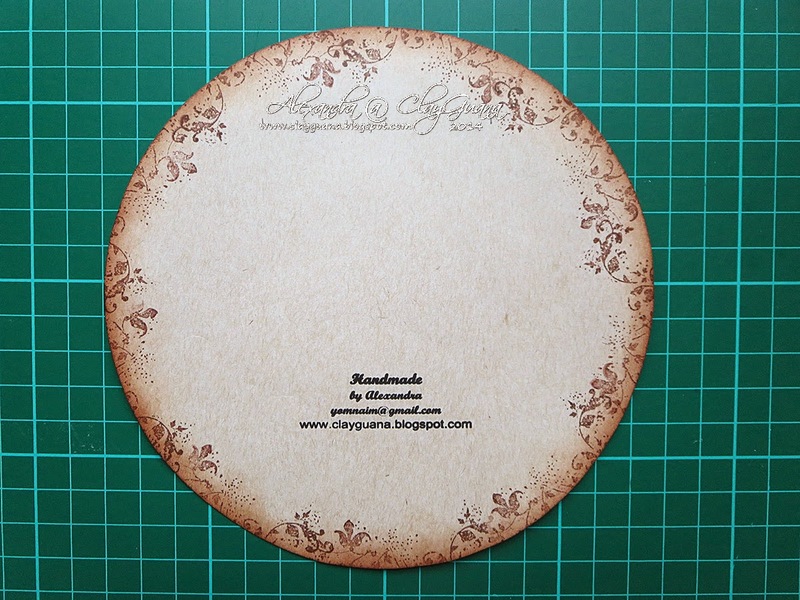 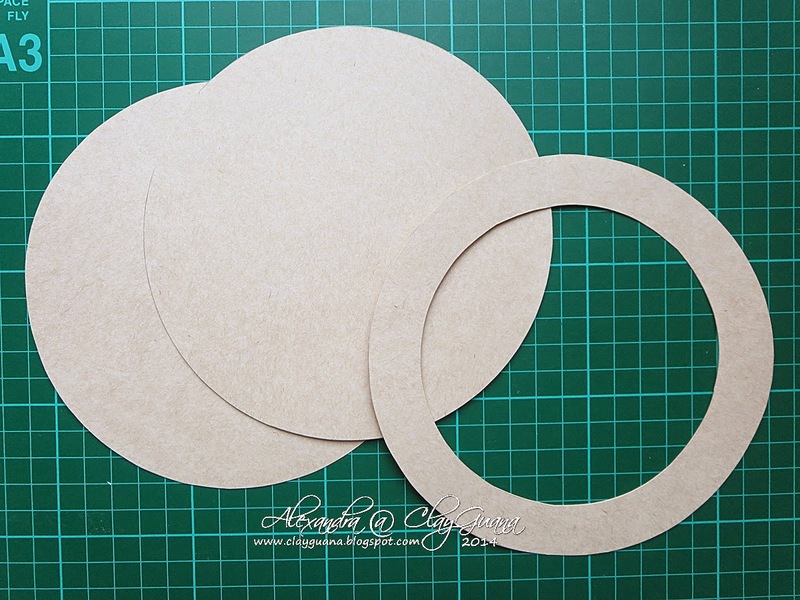 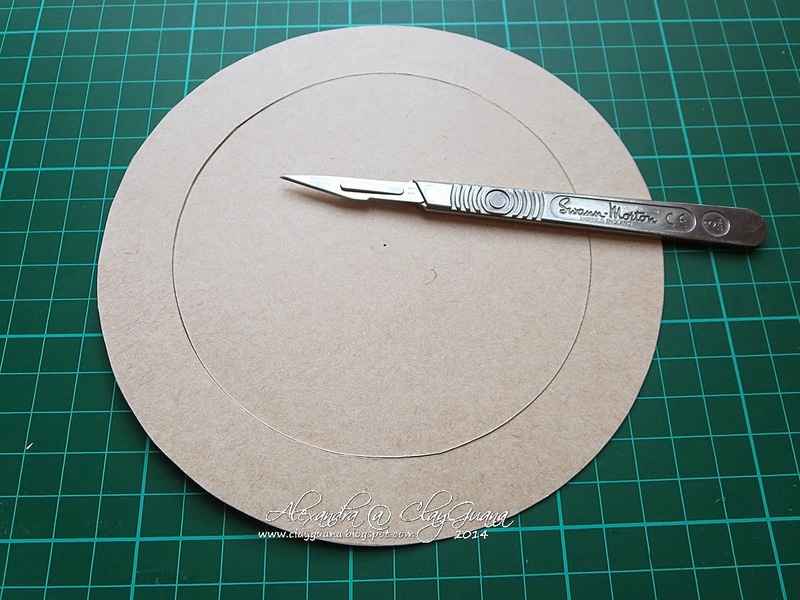 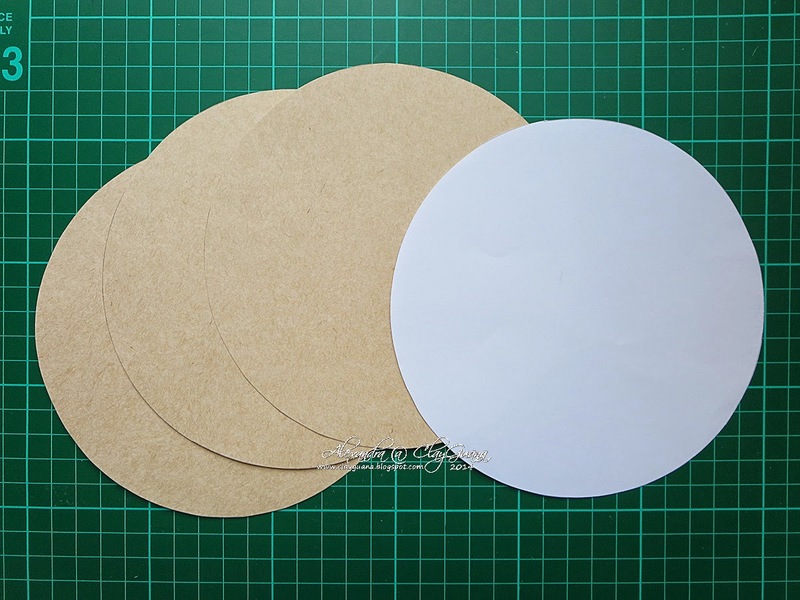 So, in any way which is comfortable for you, prepare 3 circles of the 6” diameter and 1 template of the same diameter (I used a regular printing paper for that). 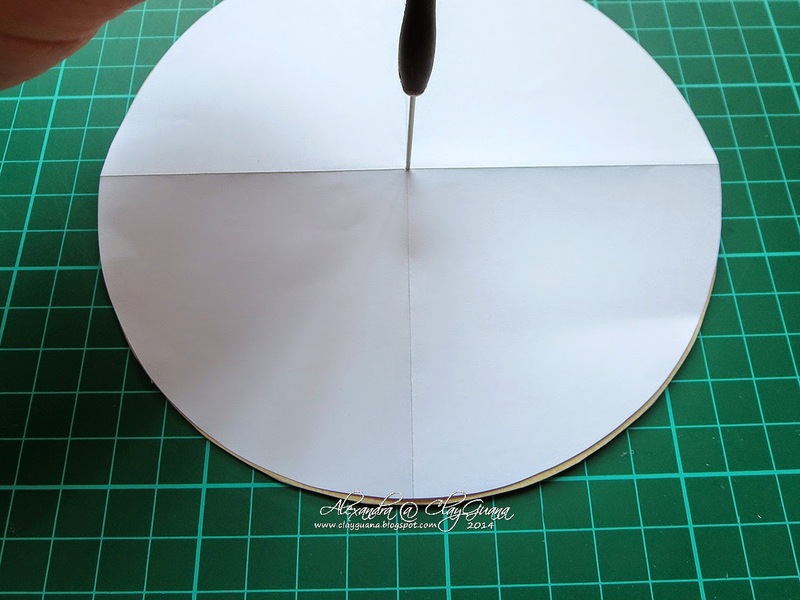 Take one of the 3 circles and place the template piece on top, try to match two of the circles as precise as possible (this shouldn’t be really hard, though we are talking about the same diameter circles here) J Pole the hole again, to “transfer” it to the bottom circle. 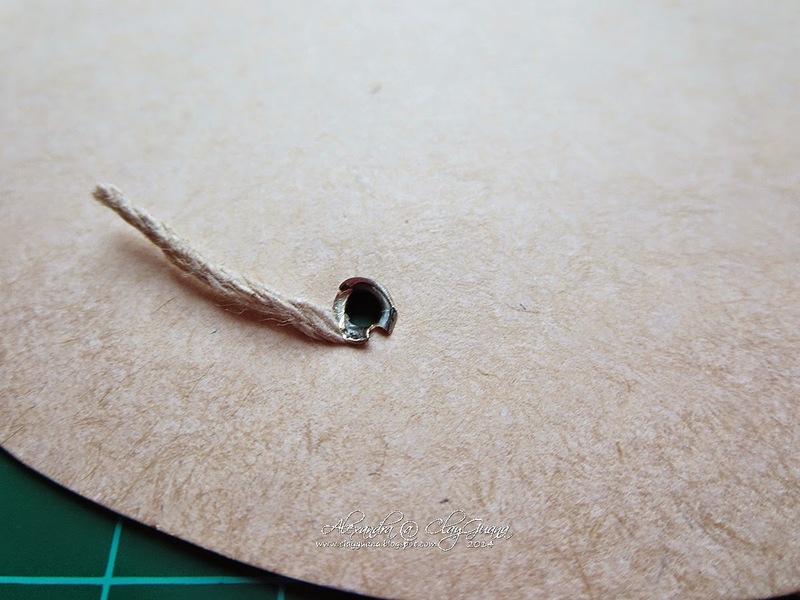 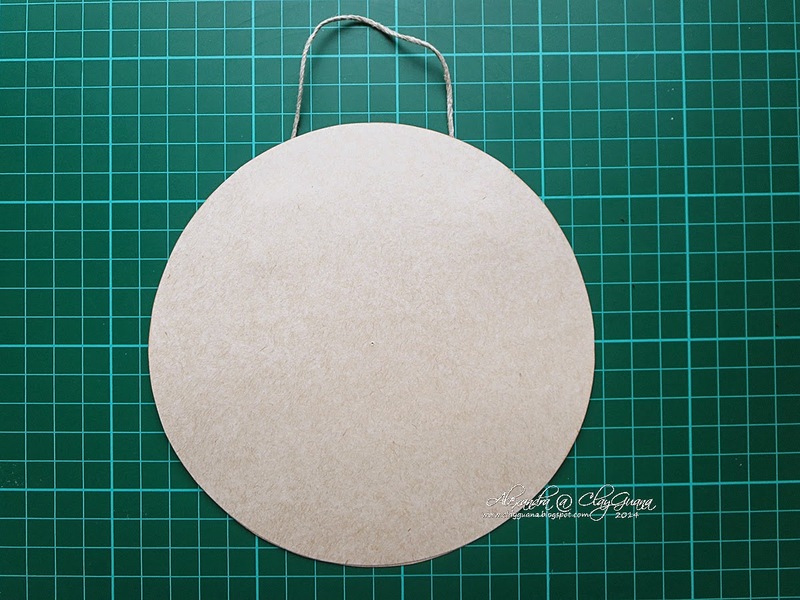 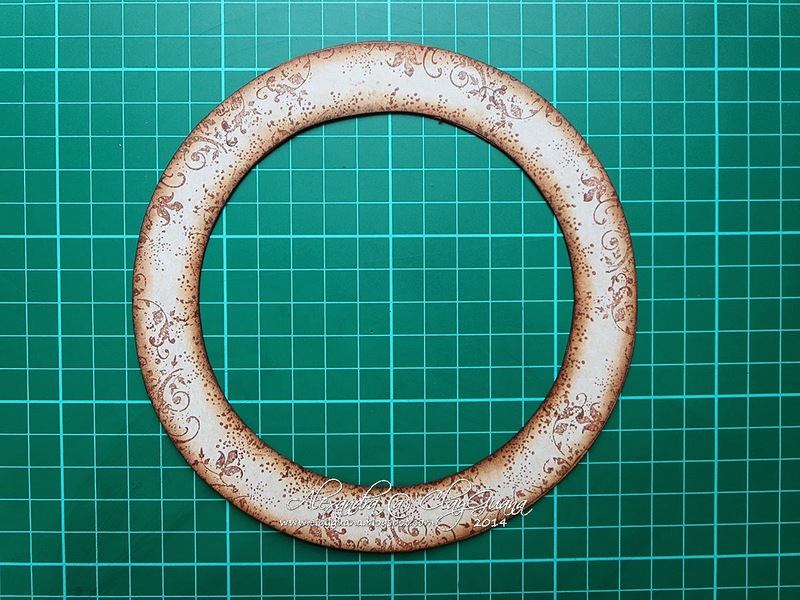 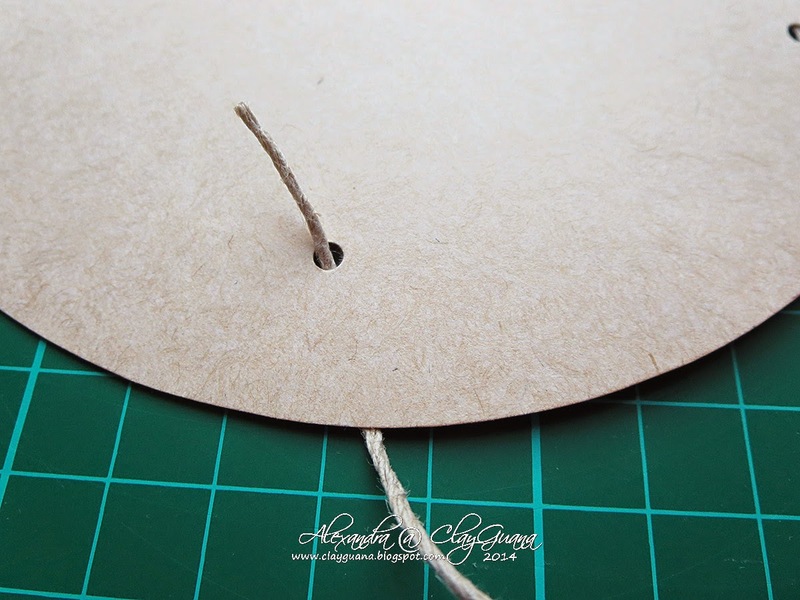 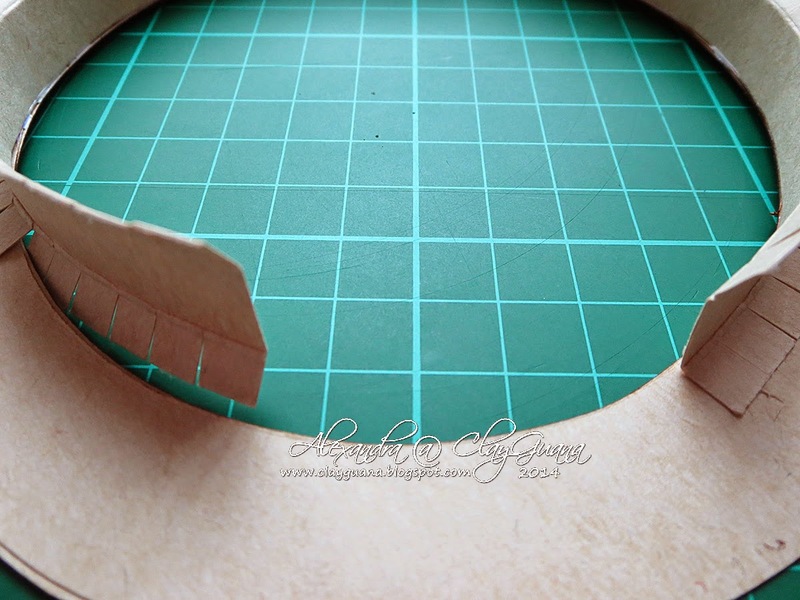 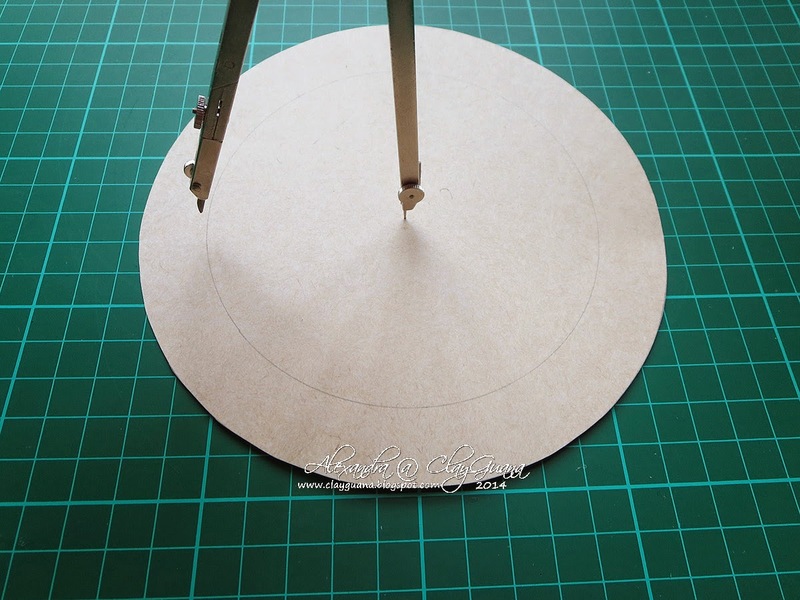 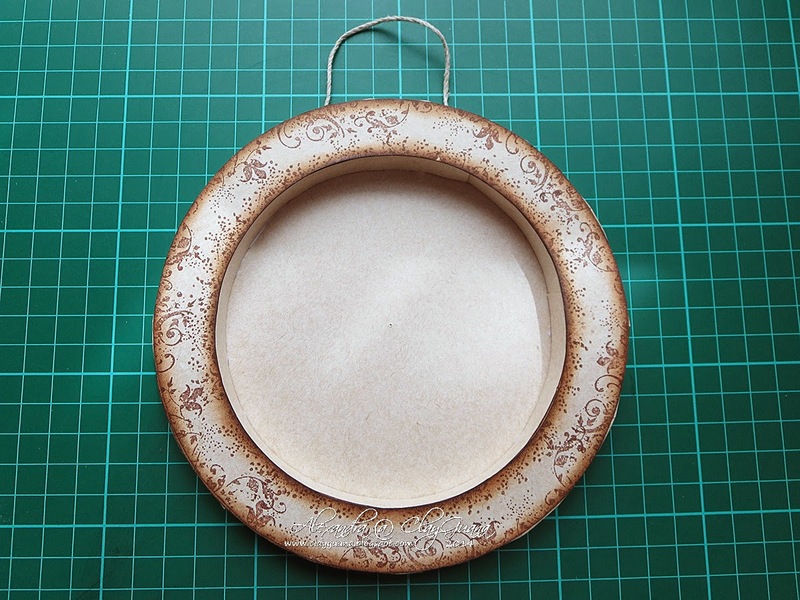 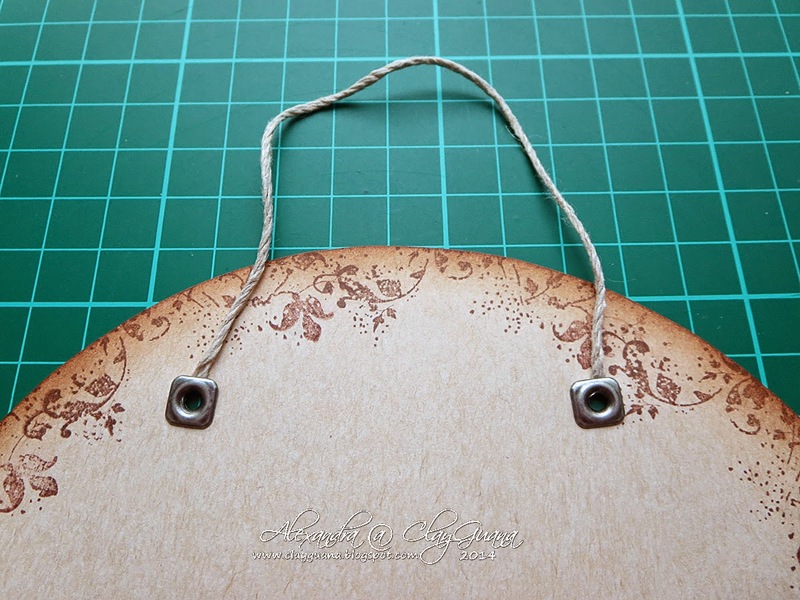 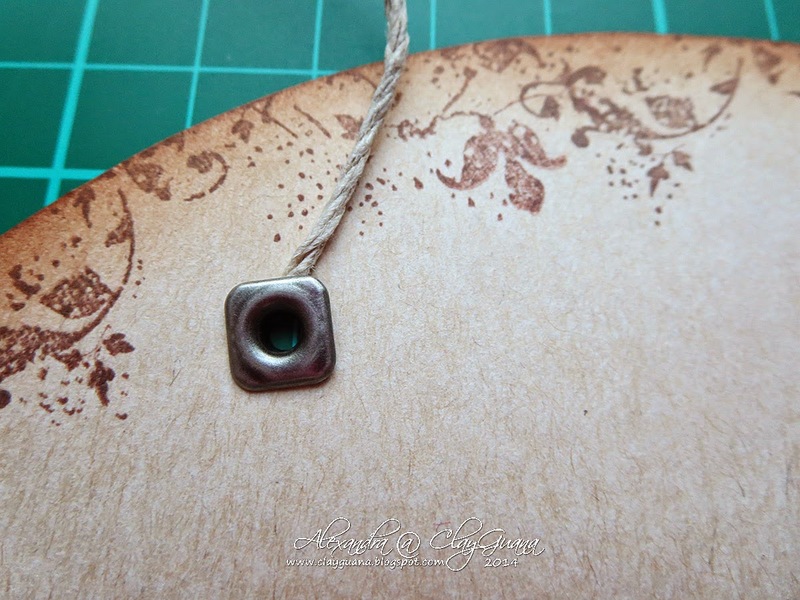 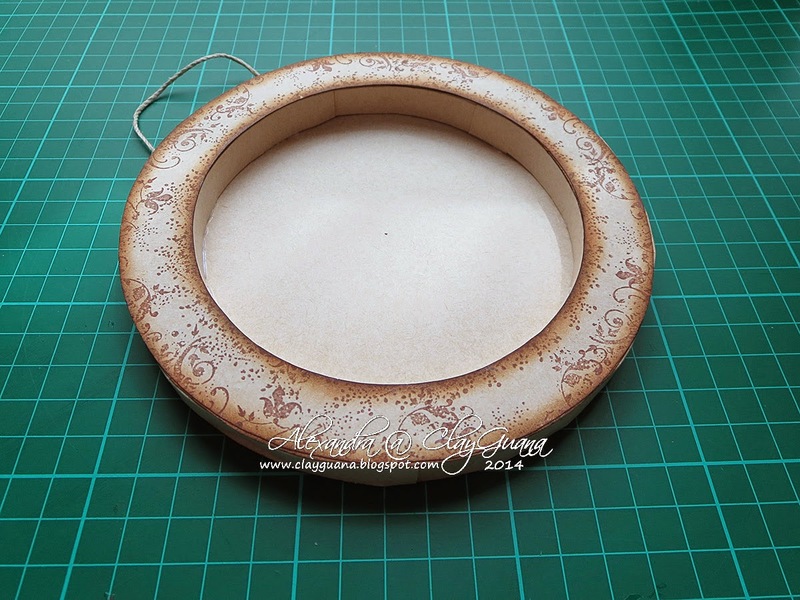 To this circle we will add two eyelets and a thread, so that we will be able to hang our shadow box on a wall. 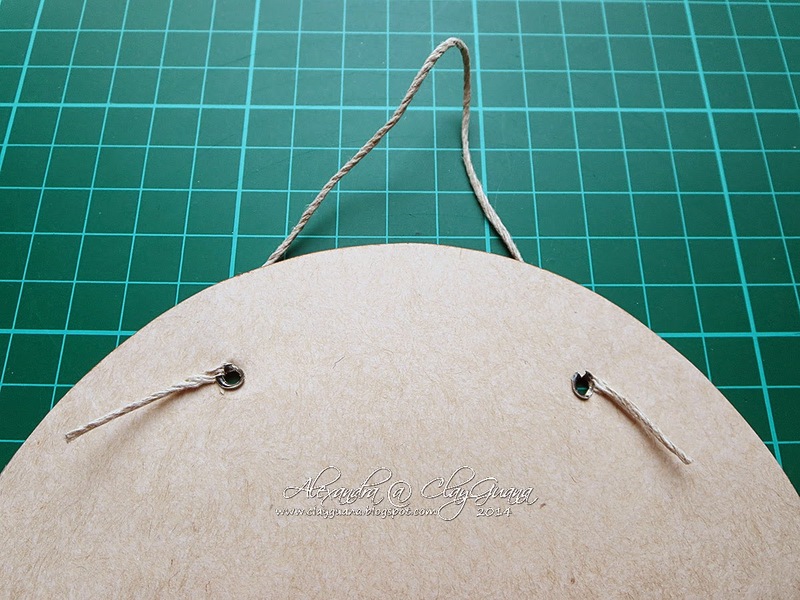 So… Mark the places where the eyelets will be, and punch holes of the corresponding size (matching the size of the eyelets). 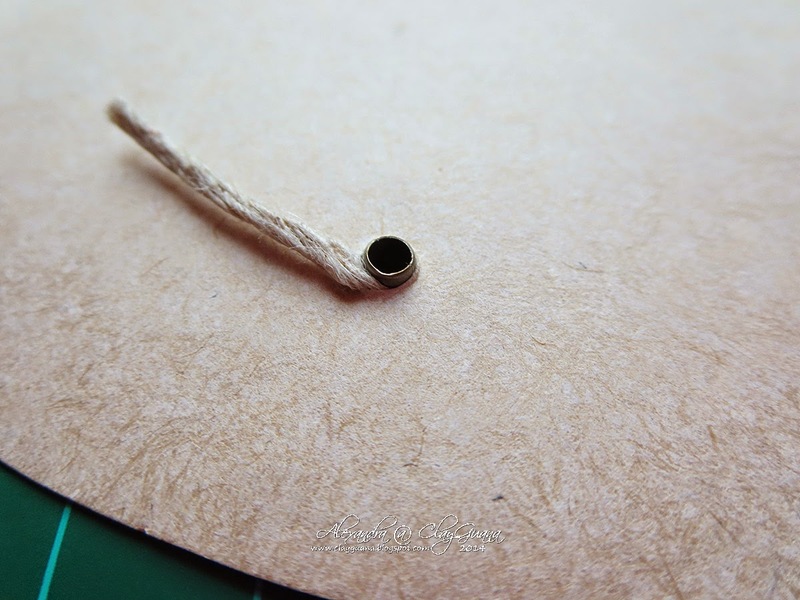 Pull one end of the thread through the hole and leave a “tale” of about 1”. 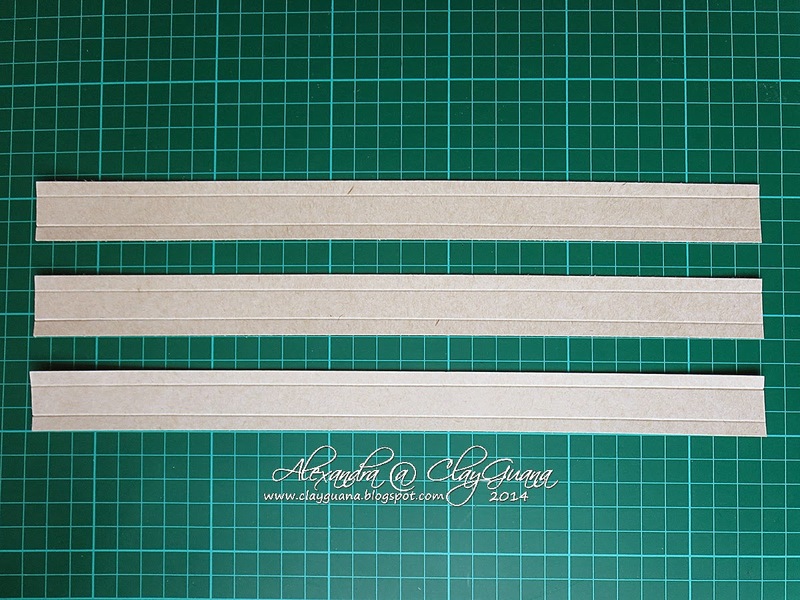 The thread I took was about 8” long, but again, everything depends on how long you want your thread to be. 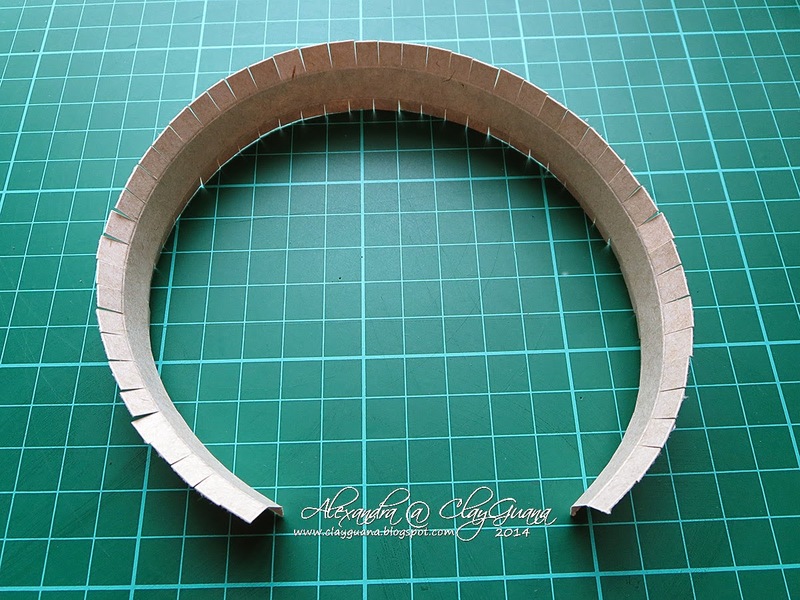 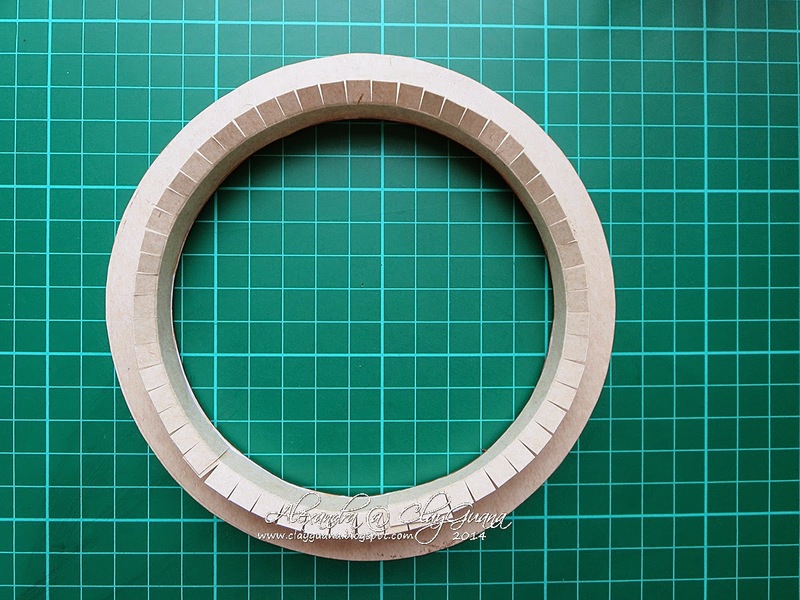 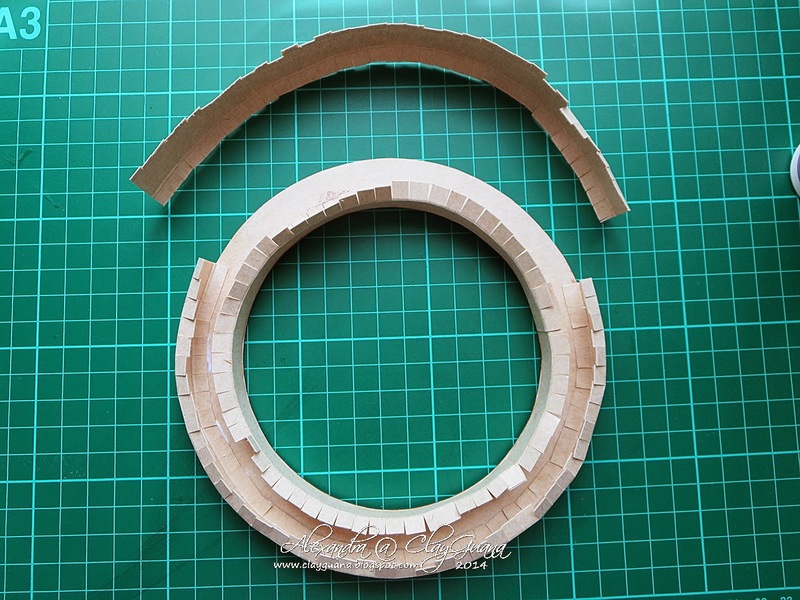 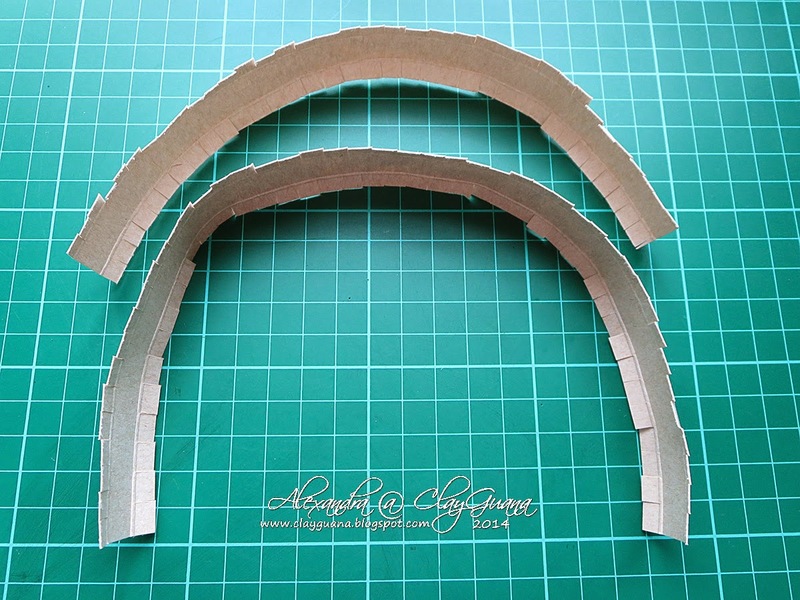 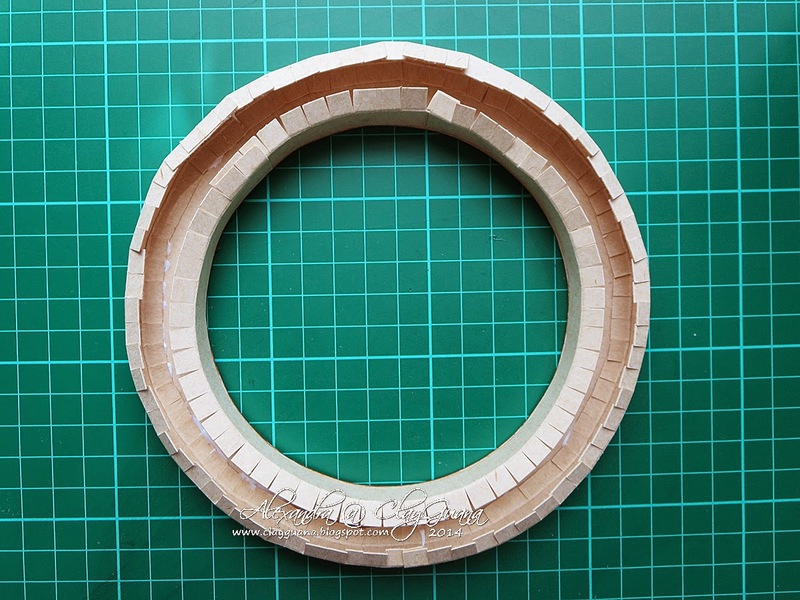 We will attach this strip to the inside part of the ring and this way will start to form our shadow box. 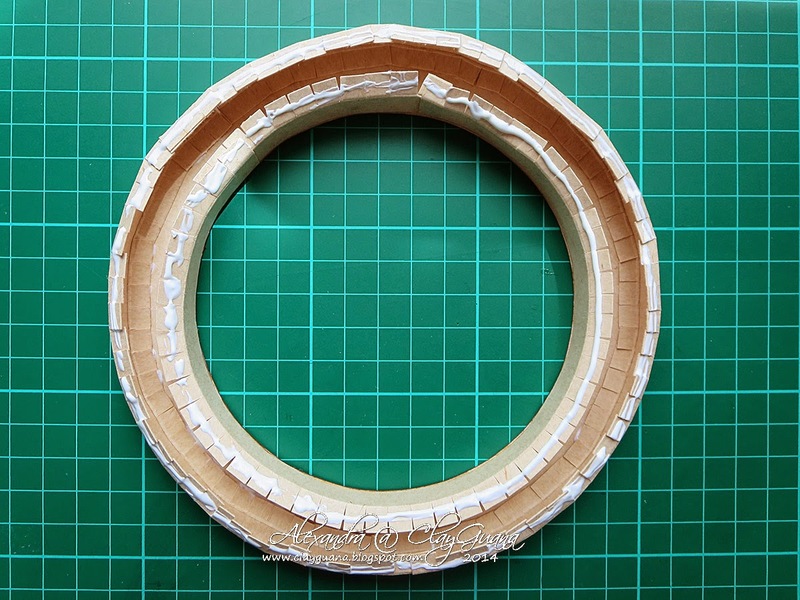 Apply the blue bit by bit, and glue the strip down, paying attention to the edges, try to keep them as round as possible. 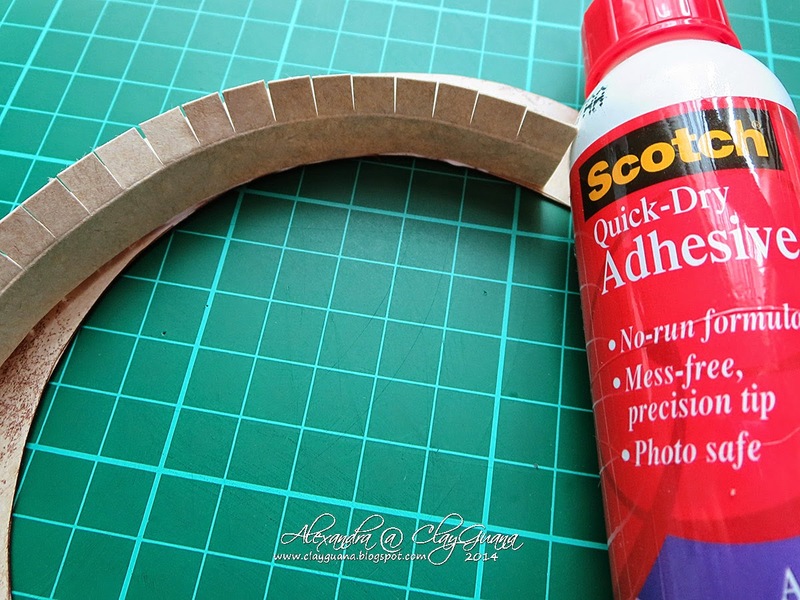 ** I use a quick dry adhesive by Scotch, but I suppose you can use any other glue you like to work with, just be patient and don’t hurry with this step. 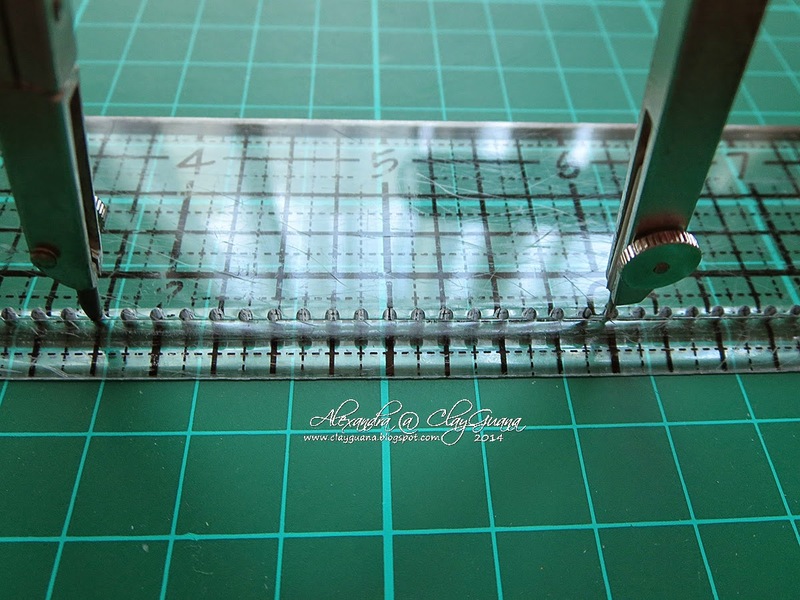 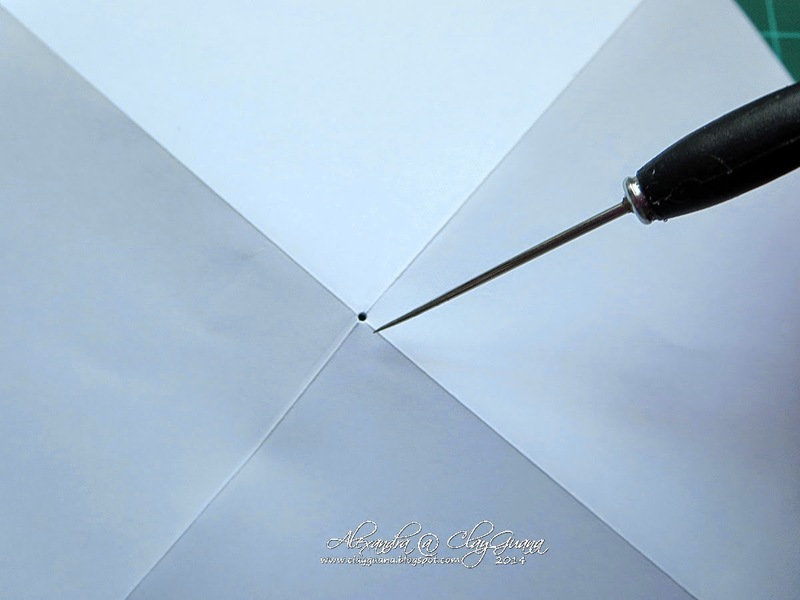 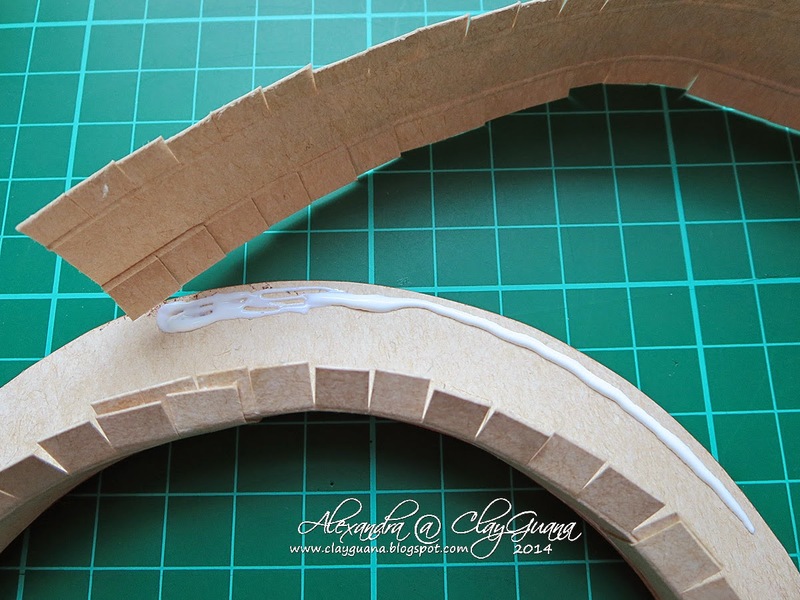 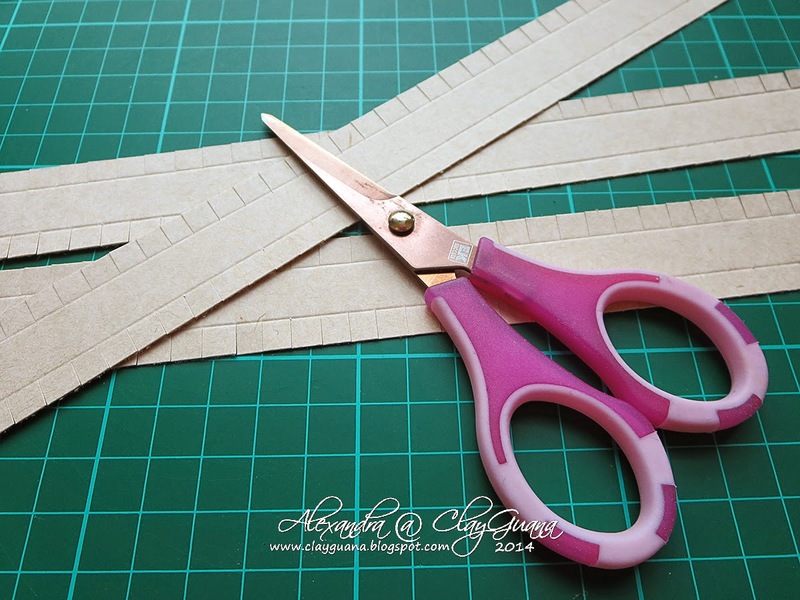 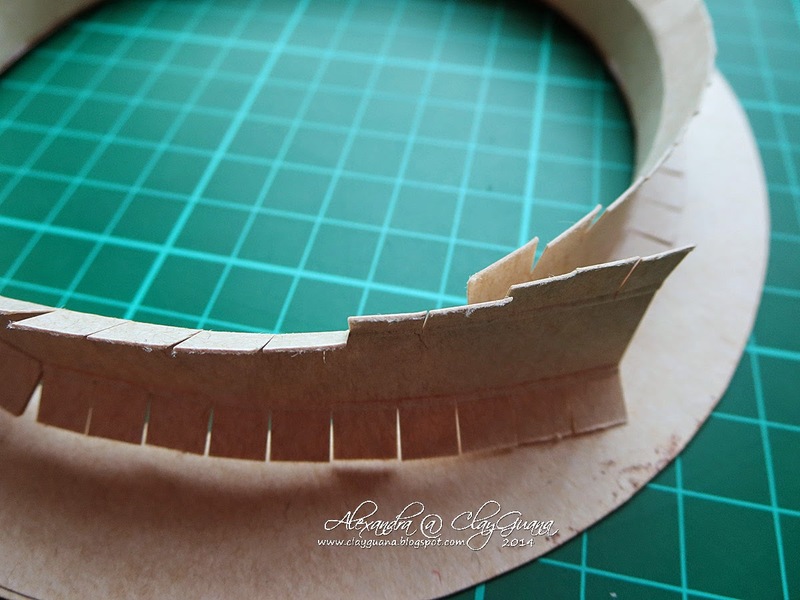 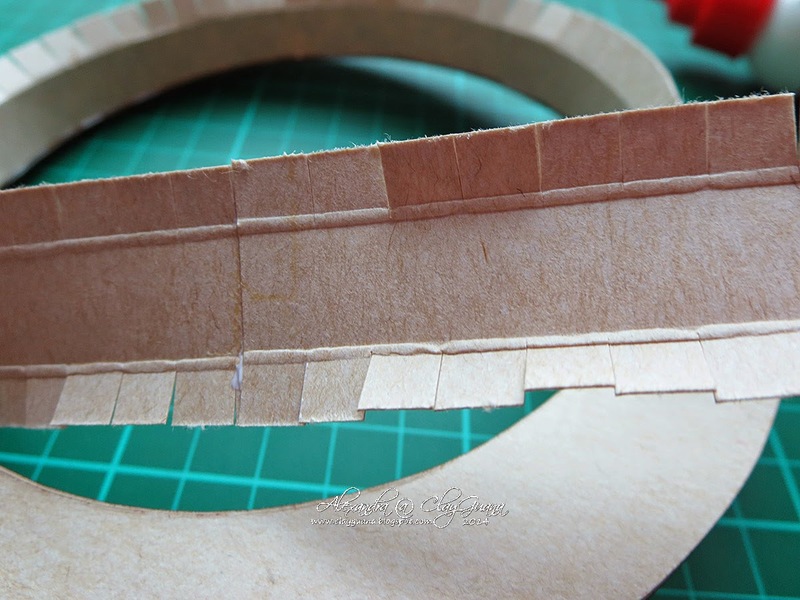 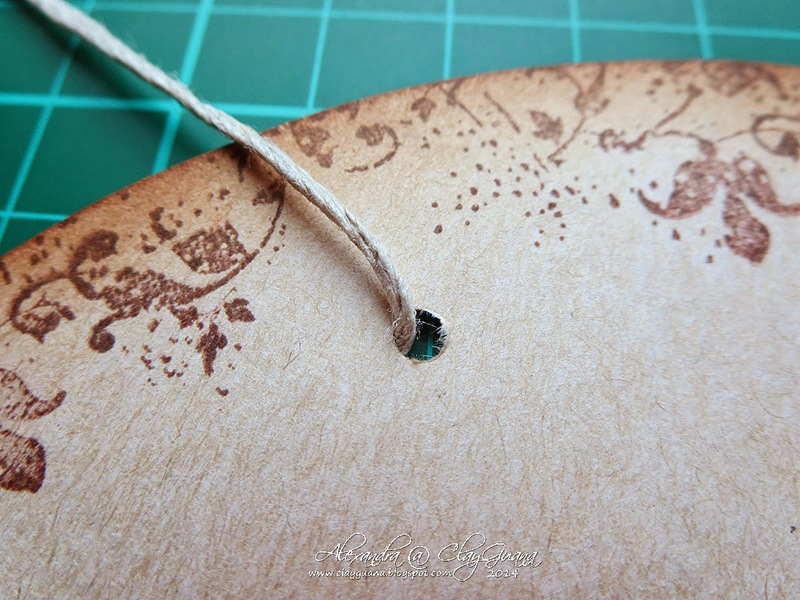 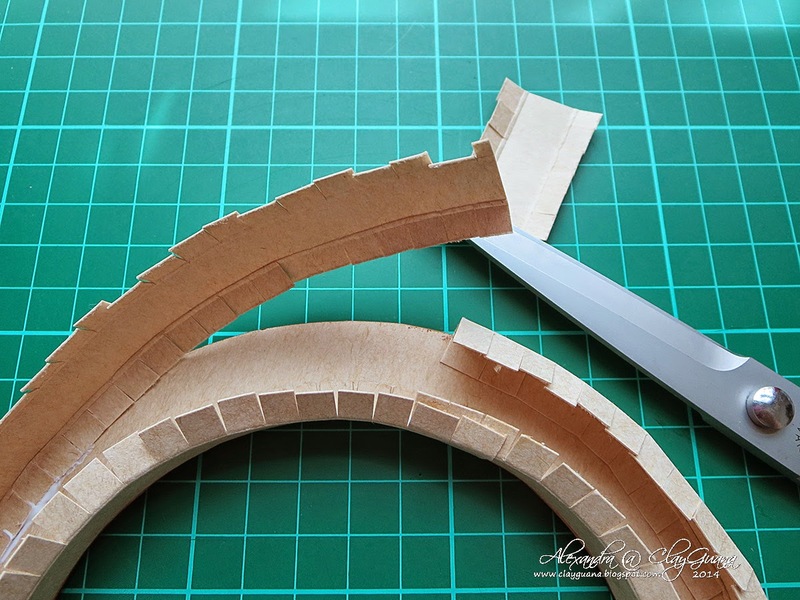 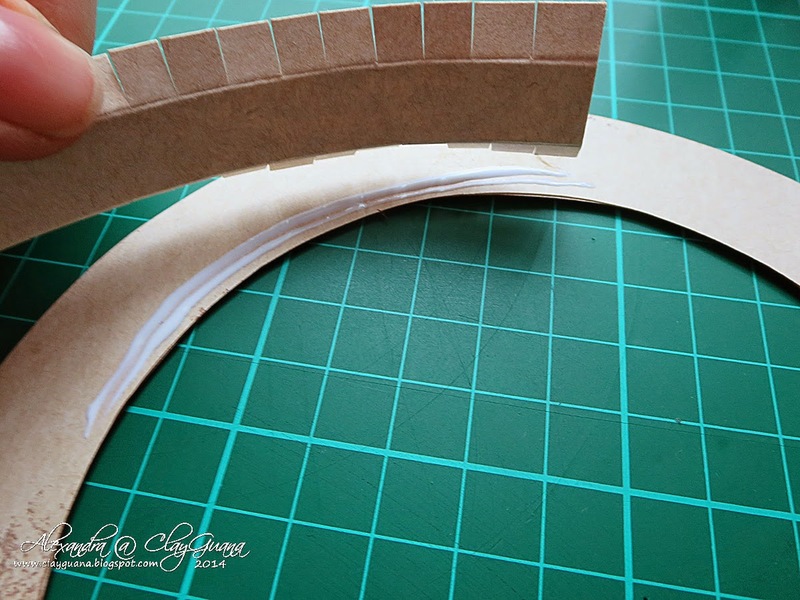 Start gluing the strips to the outer edge of the shadow box in the same way you did for the inside edge – bit by bit. 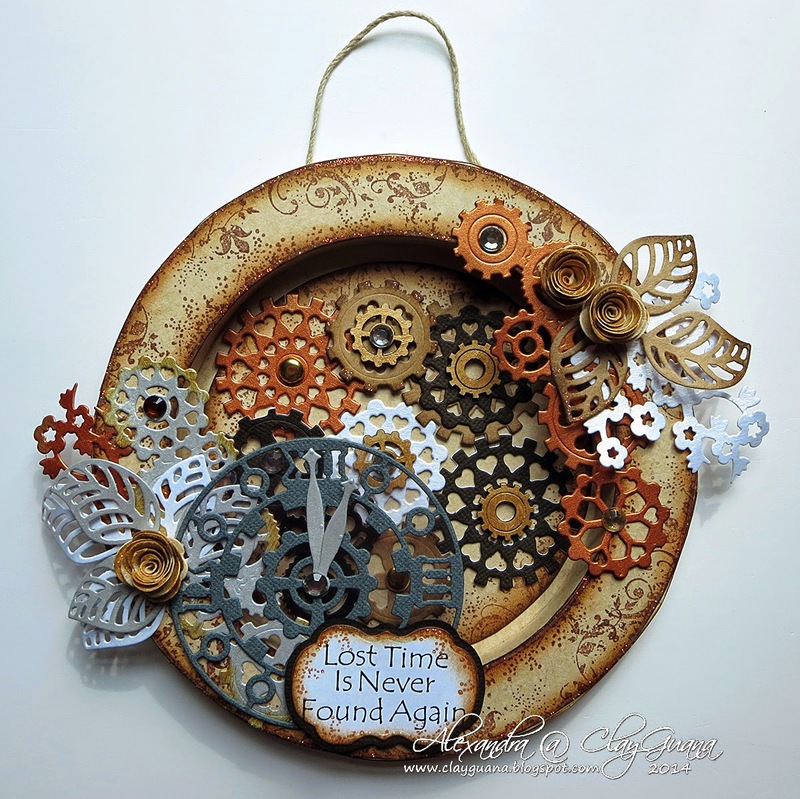 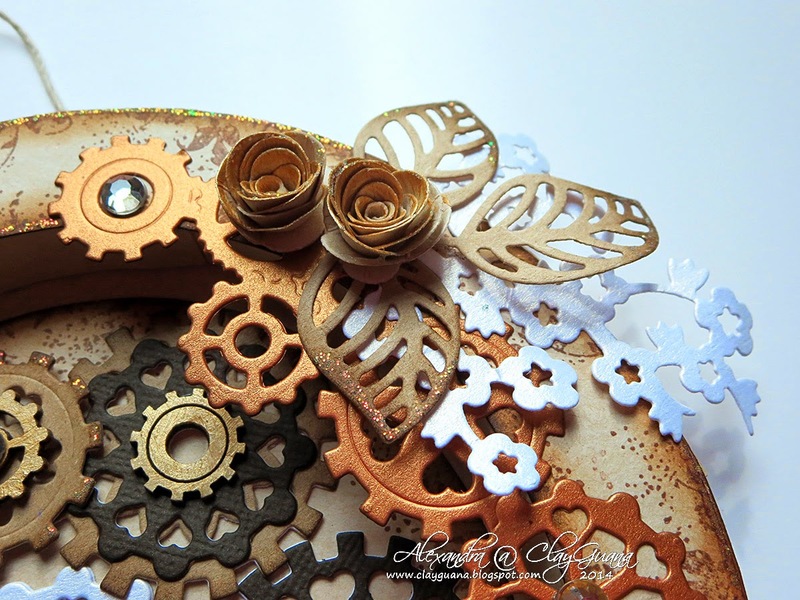 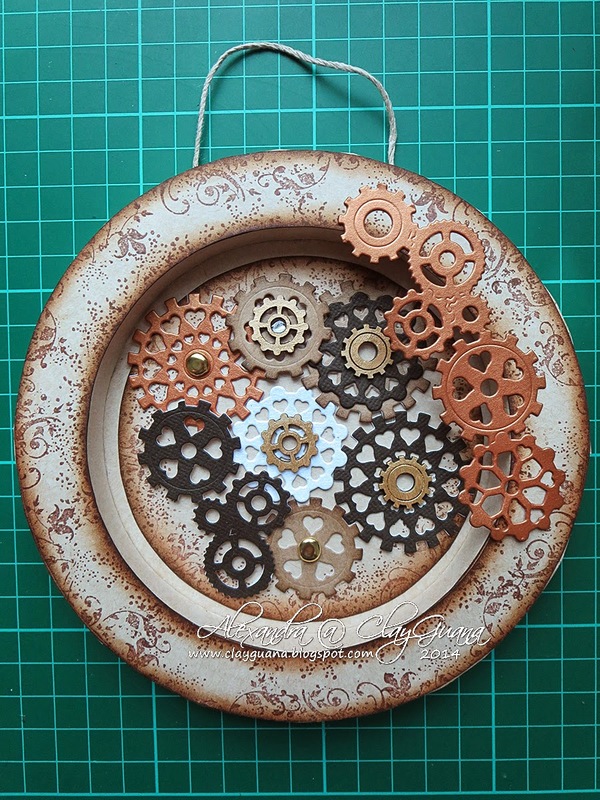 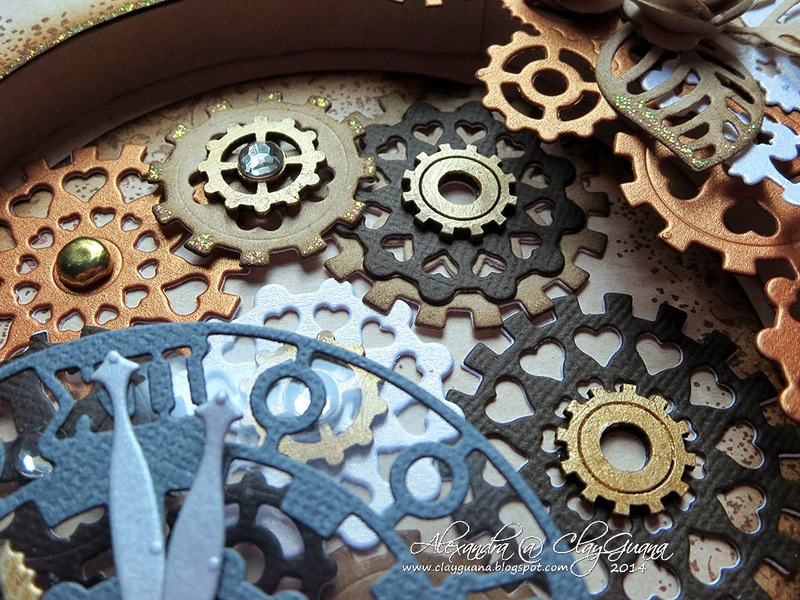 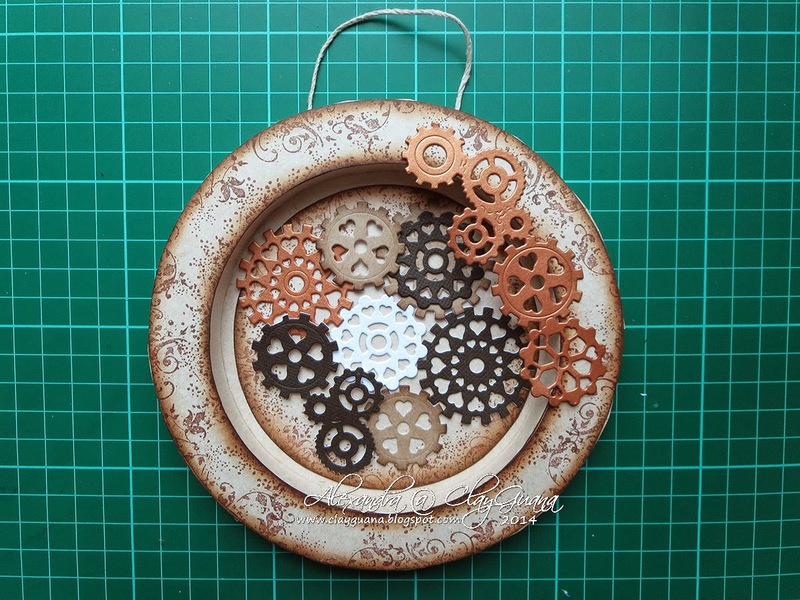 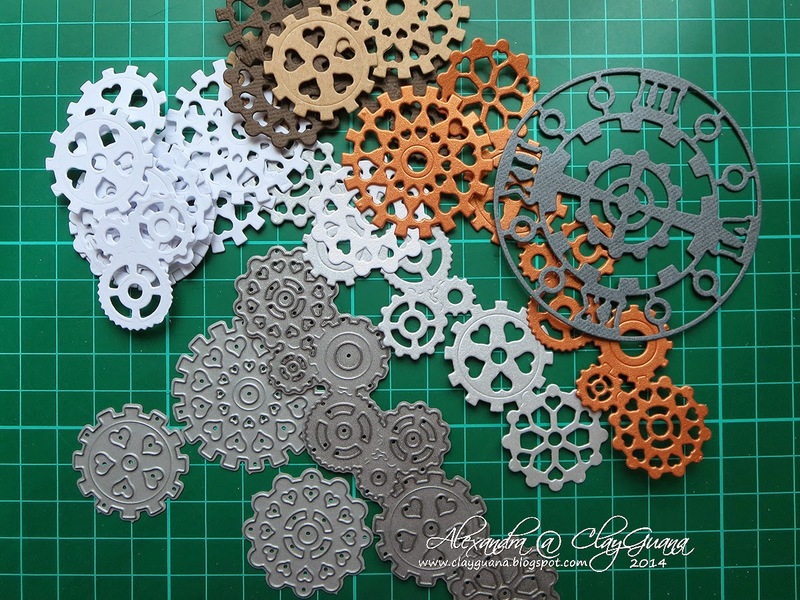 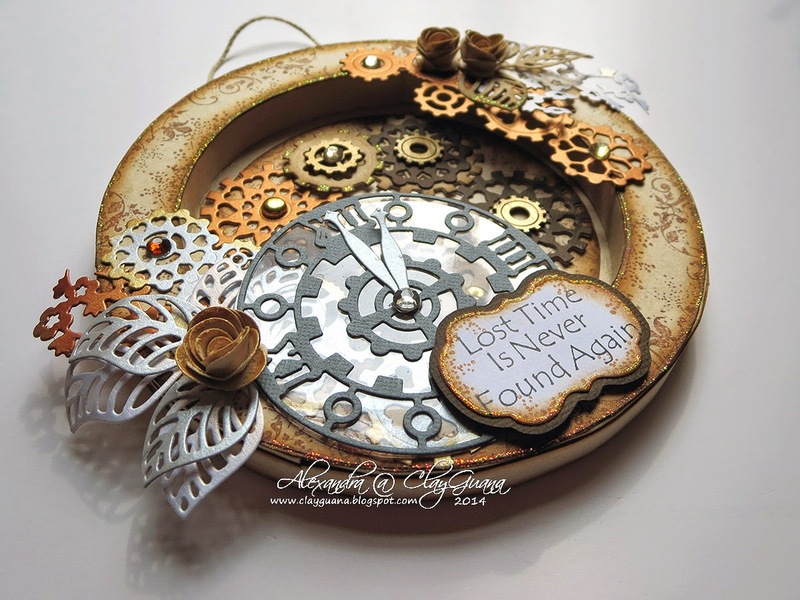 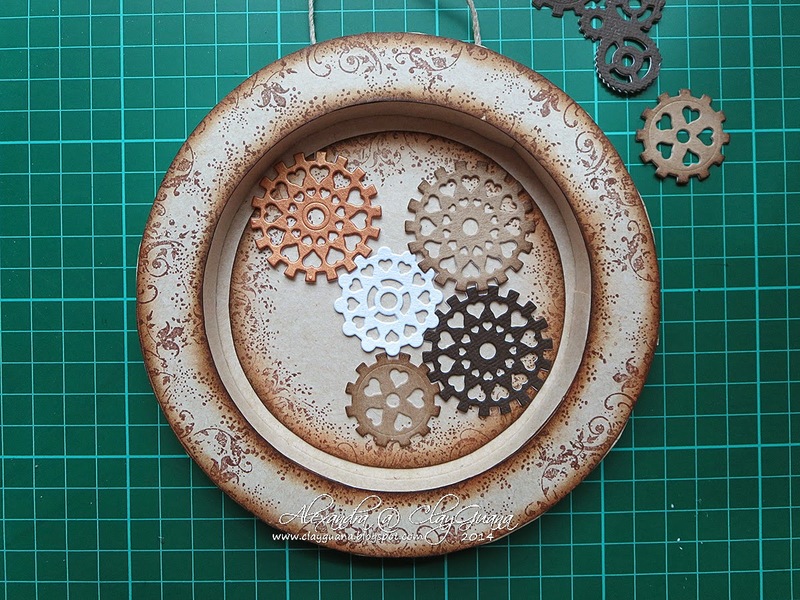 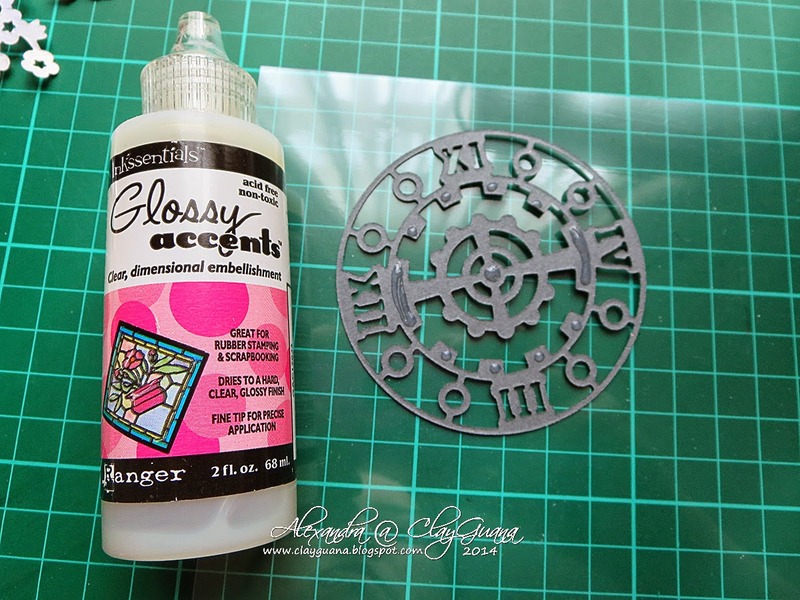 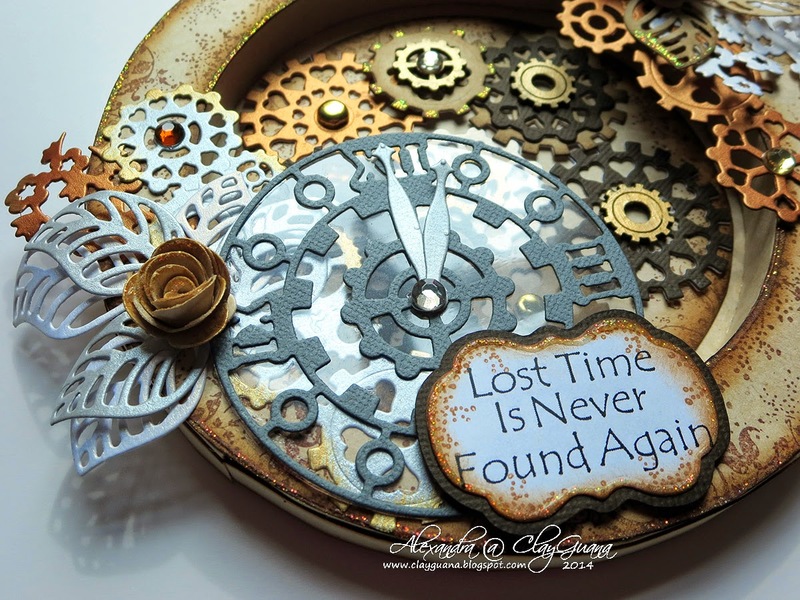 Start to place the cogs inside the shadow box (without gluing them down yet), have a look at your project, arrange the cogs the way you like and only after that start to glue them down. 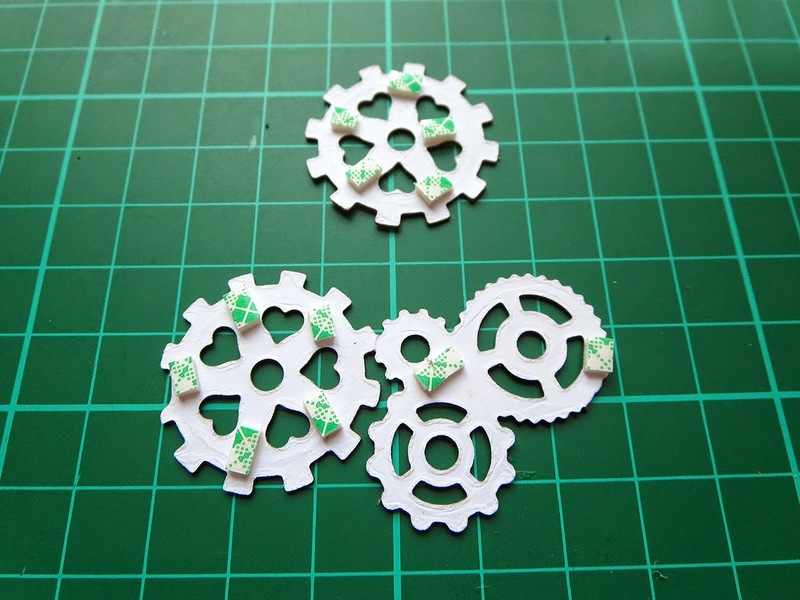 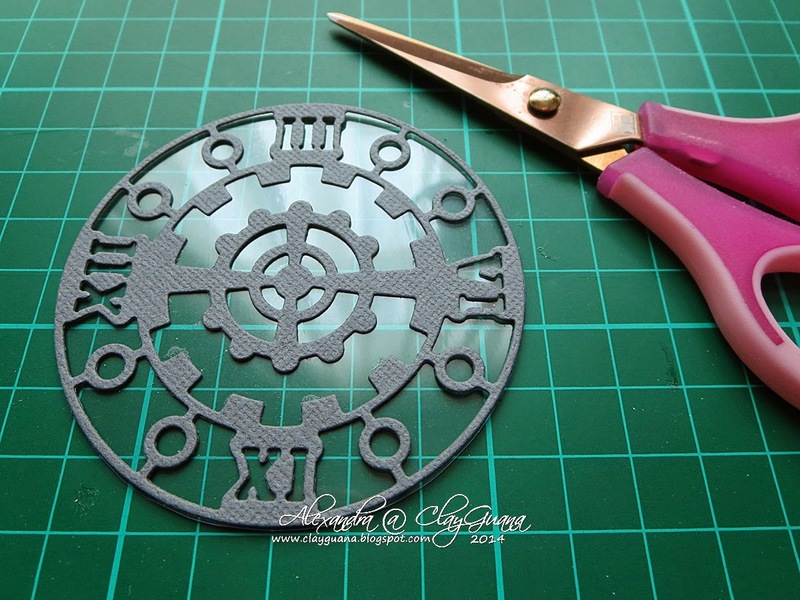 *I’ve doubled the most of the cogs with plain white cardstock. 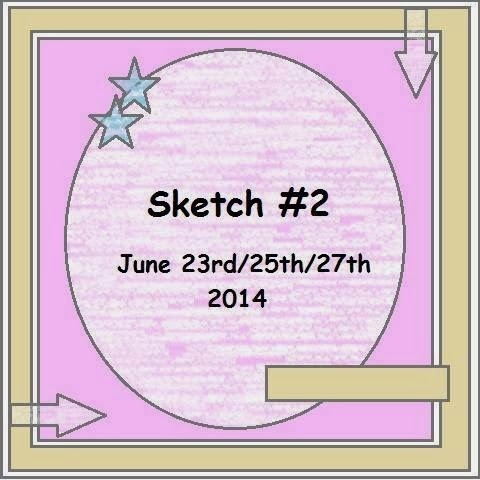 Thanks for viewing and have fun creating!